The record low rate of permits issued by Israel for Palestinians seeking vital medical treatment to travel outside the Gaza Strip underlines the urgent need for the Zionist state to end its decade-long closure of the enclave, a group of Palestinian and international rights groups have said in a joint statement. Al-Mezan Centre for Human Rights, Amnesty International, Human Rights Watch, Medical Aid for Palestinians (MAP) and Physicians for Human Rights Israel (PHRI) confirmed that 54 Palestinians from Gaza died while they were waiting for Israeli travel permits. They added that a record level of delays by the Palestinian Authority in issuing required approvals last year, as well as Egypt’s continued closure of the Rafah border crossing with Gaza have further restricted movement and caused additional suffering to the Palestinian people. According to the NGOs report, the Israeli authorities approved travel permits for medical reasons for only 54 per cent of those who applied in 2017, the lowest rate since the World Health Organisation (WHO) began collecting statistics in 2008. The WHO reported that 54 Palestinians, 46 of whom had cancer, died last year following the rejection or delays in their travel permit applications. The NGOs insisted that Israel should lift the unlawful sweeping restrictions on the freedom of movement of people from Gaza, most critically those with significant health problems. For the past two decades, and especially since 2007 when Israel imposed a land, air and sea blockade on Gaza, Israel has kept Gaza mostly closed, unlawfully depriving its population of basic rights. The United Nations and the International Committee of the Red Cross (ICRC), among others, have declared this policy “collective punishment” and called for Israel to lift its closure. Israel controls all access to and from Gaza, with the exception of the Rafah Crossing via the Egyptian border, and all transport between Gaza and the occupied West Bank, as well as the border between the West Bank and Jordan. The Israeli authorities will not allow the Palestinians in Gaza to rebuild and open their airport — destroyed by Israel in 2001/2 — or build a functional seaport, leaving Palestinians dependent on foreign ports for travel abroad. Travel through the Erez Crossing, Gaza’s pedestrian route to Israel, the West Bank and the outside world, is limited to what the Israeli military calls “exceptional humanitarian cases,” meaning mainly those with significant health issues and their companions, as well as prominent business people. The gradual decline in Israel’s issue of medical permits, from 92 per cent approval of applications in 2012 to 88.7 per cent in 2013; 82.4 per cent in 2014, 77.5 per cent in 2015, 62.07 per cent in 2016 and 54 per cent in 2017 indicates that Israel has increasingly restricted travel even for “exceptional humanitarian cases,” said WHO. In 2017, travel via Erez accounted for less than 1 per cent of the travel recorded in September 2000. Palestinians from Gaza missed at least 11,000 scheduled medical appointments in 2017 after the Israeli authorities denied or failed to respond in time to applications for permits. Research by Al Mezan, supported by MAP, into the cases of 20 Palestinians who died after missing hospital appointments due to denied or delayed travel permits found that 14 had cancer, nine of whom were women. PHRI has highlighted how women in Gaza with cancer have faced heightened obstacles to accessing medical care and consequently expended energy fighting bureaucracy rather than their illness. The significant decline runs counter to the ever-increasing health needs in Gaza. The besieged territory’s 2 million people endure what the UN labels “a protracted humanitarian crisis.” Amid widespread poverty and unemployment, at least 10 per cent of young children are stunted by chronic malnutrition; up to half of all medicines and medical disposables in Gaza are completely depleted or below one month’s supply; and chronic electricity shortages have caused officials to cut health and other essential services. 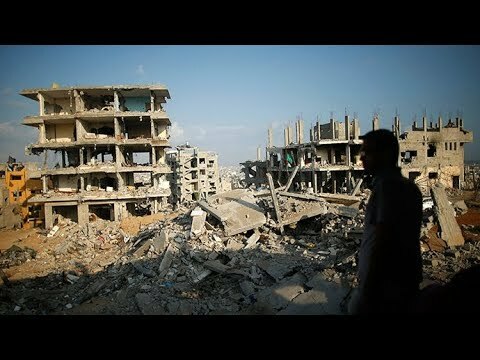 The three Israeli military offensives on Gaza since 2008 have also taken a heavy toll on essential infrastructure and further debilitated Gaza’s health system and economy. In light of the control Israel effectively exercises over the lives and welfare of the people of Gaza, the Zionist state continues to maintain ultimate responsibility for ensuring their well-being under the laws governing military occupation, as the ICRC and UN, among others, have recognised. Palestinians in Gaza require referral permits to access the more advanced health care in East Jerusalem and elsewhere in the West Bank, as well as in Israel. The health services most commonly requiring referral outside of Gaza are for oncology, paediatrics, cardiology and heart problems, and haematology. The Israeli authorities state that they can process priority permits in one day, although the typical waiting time averages two weeks, while “regular” cases require 23 days, and often fail to meet this timetable. The Palestinian Authority’s financial approval of referrals for those in need of essential medical treatment in Gaza also fell in 2017, with at least one subsequent death reported. While the PA approved about 2,000 applications in each of the first three months, this fell to under 500 in June, before increasing to more than 2,000 later in the year amid efforts at Fatah-Hamas reconciliation, according to the WHO. Additionally, the PA’s reduction of essential services to the Gaza Strip between July and December 2017 – including electricity and medical supplies – also undermined Palestinians’ right to health. Egypt has kept the Rafah Crossing mostly closed for the population in Gaza since 2013, which contributed to restricting access to health care. Before July 2013, more than 4,000 Palestinians travelled monthly via Rafah for health-related purposes. As a state bordering a territory with a protracted humanitarian crisis, Egypt should facilitate humanitarian access for the population. Nevertheless, ultimate responsibility remains with Israel, the occupying power.